Up to 100% in an Indian company in the business of real estate development with full repatriation benefits i.e. both the business profits and sale proceeds of original investment can be repatriated. Real estate development means construction of residential and/or commercial properties, office complexes, etc. Mere trading in properties is not permitted. Further construction of farmhouses is not permitted. Sale proceeds of property acquired by way of inheritance can be repatriated without any lock in period up to USD 1 million per calendar year. Sale proceeds of property acquired out of Rupee resources is permitted to the extent of USD 1 million per calendar year subject to the condition that the property/sale proceeds of property should have been held in India cumulatively for a period of 10 years. Sale proceeds of immoveable property acquired out of Forex resources can be repatriated without any lock in period to the extent of equivalent oreign exchange originally invested. The profits can be repatriated to the extent of USD 1 million per calendar year. In case of residential properties, repatriation is restricted to two such properties. 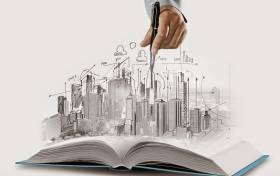 Typically, leasing residential and commercial property in Pune could fetch a pre-tax return of 6-9% and 8-11% respectively. Capital appreciation, if any, would provide additional return on investment. Investment in real estate in India typically carries an entry load of 10-15% towards stamp duty, registration, brokerage etc. Real estate as an asset is not as liquid as investment in stock market, bank deposits etc. A power of attorney to a trusted friend/ relative/ professional would obviate the need of physical presence for legal formalities. 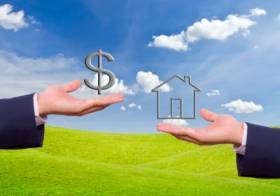 Loans can be raised conveniently in India and abroad for investment in property. Loans can be raised in India by the owner and third parties against the security of the property for any bonafide purpose. Tax benefit is available on interest on housing loan raised in India. Tax exemption is available on re-investment of sale proceeds of property in eligible avenues. The prevailing lease rentals and scope for capital appreciation in the area where the property is located. Scope for infrastructure development around the property under consideration. Location and proximity to schools, hospitals, markets, public transportation etc. Actual property taxes to be paid. Who are the Non - Resident Indians who can qualify for NRI housing loans? Indian citizens who live abroad for educational or business purpose or pursuing an employment that involves staying abroad for an indefinite period of time. Government servants who are deployed abroad on assignments with foreign Governments or regional/international agencies like the World Health Organization (WHO), World Bank, Economic and Social Commission for Asia and the Pacific (ESCAP); International Monetary Fund (IMF) and more. State Government Officials and those from Public Sector Undertakings who are deputed abroad on temporary assignments or posted to their respective offices or branches abroad. Home loans for NRIs can be availed for construction of new houses or flats; for purchase of old houses, properties and flats or their alterations to existing houses. Besides loan can also be available for repairs and renovation. The NRIs can avail of loans by mortgaging an existing a residential property. However, there are certain conditions that the NRIs need to fulfill in order to avail the home loans especially those pertaining to the provisions of the Income Tax Act. The NRIs should have stayed in India for a period of 182 days or more within the assessment year. If not, then they should have stayed in India for atleast a total of one year or more. The Foreign Direct Investment Policy permits FDI up to 100% from foreign/NRI investor. Under such circumstances this automatic route encourages the NRI confidence. Banks offer attractive NRI housing schemes to accommodate the housing needs of NRIs. From the stables of HFCs, NRI housing finance plans with suitable repayment options. What are the eligibility criteria for NRI? Age: The minimum age for a loan applicant is 21 years age. Qualification: The minimum qualification of the loan seeker has to be that of a graduate. Income: The loan applicant has to have a minimum monthly income of $2,000 (This criterion may differ across HFCs). Moreover, the eligibility is also determined by the stability and continuity of your business or employment. Payment options: There are the Equated Monthly Installments which the NRI needs to route through cheques or his NRE/NRO account. Making payments from another source say, his savings account in India is not allowed. Number of dependents: Another aspect for NRI Home Loans is that the eligibility of the applicant is also determined by the number of dependents, assets and liabilities. Based on the repayment capacity and the cost of the property, an NRI applicant is eligible to receive a home loan that ranges from a minimum of Rs 5 lakhs to a maximum of Rs 1core, This again is subject to variables depending on the priorities of the home loan. A loan applicant can be eligible for a maximum of 85% of the cost of the property or the cost of construction as applicable and 75% of the cost of land in case of purchase of land, based on the repayment capacity of the borrower. Besides, the Home Loan Tenure for NRIs is different from Resident Indians.